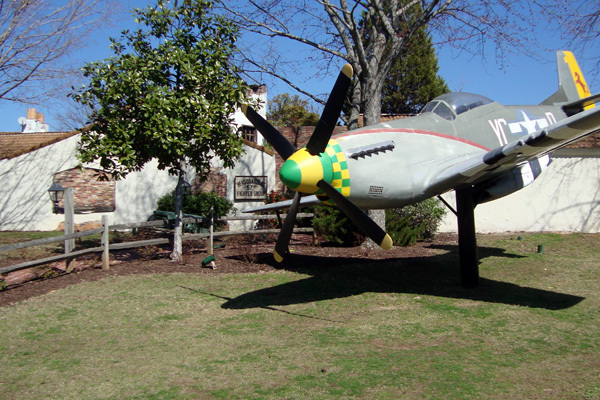 The 57th Fighter Group Restaurant is a one-of-a-kind experience in Atlanta. 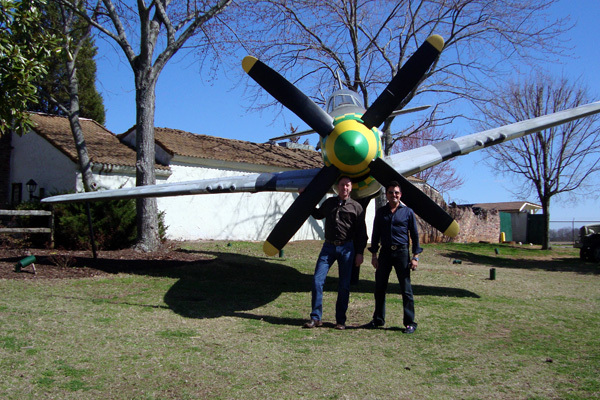 Pilots, travelers, aviation enthusiasts, and locals know the 57th for its renowned World War II aviation theme, "the" place to watch planes take off and land in Atlanta, and a great atmosphere for getting together with friends or a unique date night. 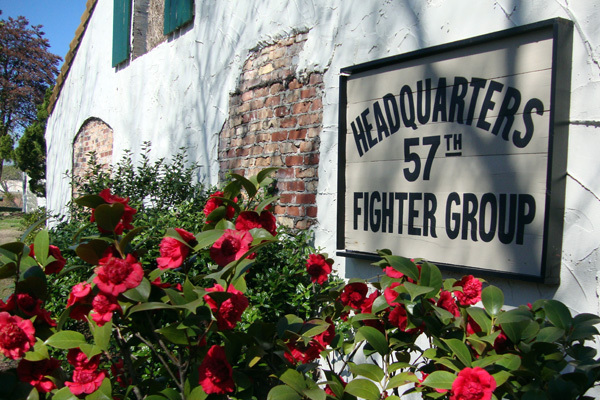 I had wanted to go to 57th Fighter Group, situated on the southern runways of Dekalb Peachtree Airport, for a number of years and now I've been twice in the last couple of weeks. I knew it was a themed restaurant, but had no idea it was quite as well-done as it is. 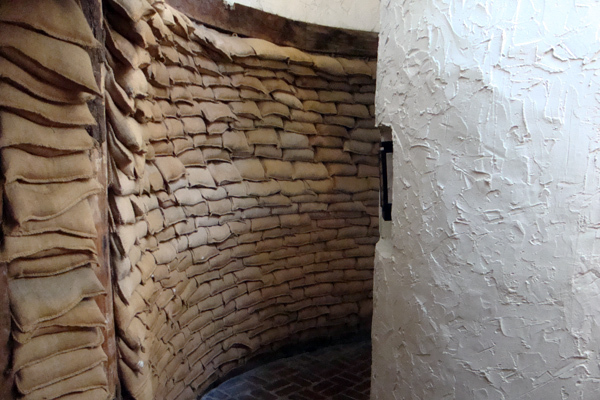 Between the jeeps, cannons, Check Point Charley, and fighter plane on the grounds and the vintage photos and posters, the uniforms, and the sandbag walls, you know even before you sit down that you're in for a treat. The service is first-class. From the time you're greeted at the hostess station through your entire dining experience (and that's precisely what it is…an experience), you’re treated like a four-star general, minus the saluting. 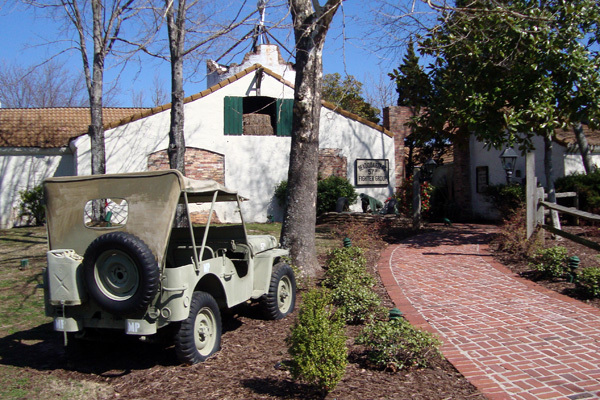 Walking up to the 57th's "Headquarters," we commented on the drive from Clairmont Road to the restaurant. A short distance, but from the road all you can see is the 57th Crest on a sign confirming you’re approaching your destination and a few WWII vehicles, apparently hastily parked by hungry troops who heard the chow bugle sound. Our hostess escorted us to our table, a window seat overlooking the south runways…it was perfect. Our waitress, Michele, arrived promptly and told us about the delicious sounding specials. Of course, to alleviate the risk of being demoted in rank, we both had their signature Beer Cheese Soup. I'd have had another bowl of that soup as an entrée, but I didn't want to embarrass my friend…friends make those kinds of sacrifices, right? My friend ordered the Italian panini and I had the fresh blackened catch-of-the-day sandwich. Like any good soldier, we ensured that nothing went to waste. Throughout our meal we talked business, talked about old times, and commented on the loads of fun the table of silver-haired giggling girls were having at a table nearby…they were having a grand time! I regaled my friend with a recollection of my Navy days when I lived in Greece. My Greek and American friends and I would on occasion go to the airport in down Athens to people watch! The coffee shop where we would sit overlooked the main terminal so on any given day we would see thousands of travelers from all over the world speaking dozens of languages…it was a unique, fun way to spend an afternoon, as is lunch at the 57th. While we’re enjoying our meal, I'm trying to take some video of the planes taxing down the runway, but kept getting caught up in conversation and taking in the overall experience to the point that I missed a number of screen captures. 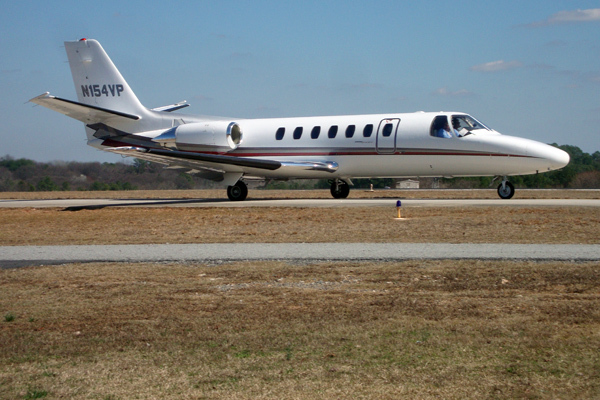 But fortunately, the Dekalb Peachtree Airport is busy enough that I was able to get quite a few clips in the end, which tells you that there’s ample airplane traffic to keep you entertained. The manager stopped by our table (always a nice touch, I think) giving us the opportunity to confirm that we were indeed having a good time. After our meal, being the explorer that I am, I wanted to walk through the restaurant to see what the rest of the place looks like, so off I went exploring. There are quite a few dining rooms. You'll notice that the tables on the other side of the restaurant are elevated so that those diners too get a view of the planes taking off and landing. The kitchen is open, so you get an indoor "show" as well. There's a lounge with a dance floor, complete with a mirror disco ball hanging from the rafters. And there are private rooms for group events. And then there's the patio! The patio has ample seating, again with great views of the runway, with umbrellas to shield the sun and fire pits to ward off the cold. The bar in the lounge opens up to the patio so you're always near a refreshing libation. 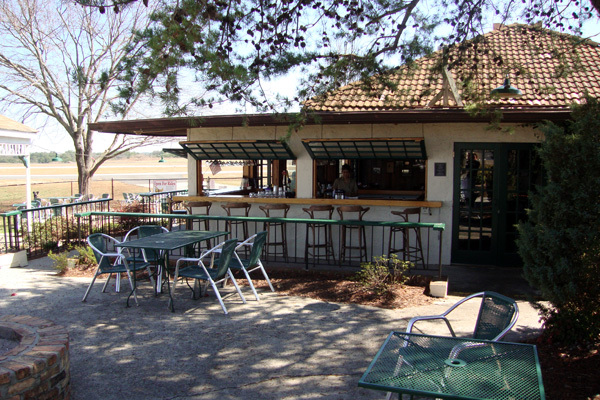 The 57th Fighter Group gets a soaring thumbs up from this particular diner…it's unexpected, it's quite tasty, and the staff gives you a hero's welcome. You also can catch a plane ride from the restaurant grounds! How cool is that? Biplane Rides Over Atlanta, Inc. offers open cockpit rides for one or two persons, for a relatively nominal fee. The excursions take passengers over downtown Atlanta, Stone Mountain (the number one tourist destination in Georgia), and Lake Lanier. For those with a more romantic agenda, they also offer sunset tours. Biplane Rides over Atlanta is not owned or operated by 57th Fighter Group. 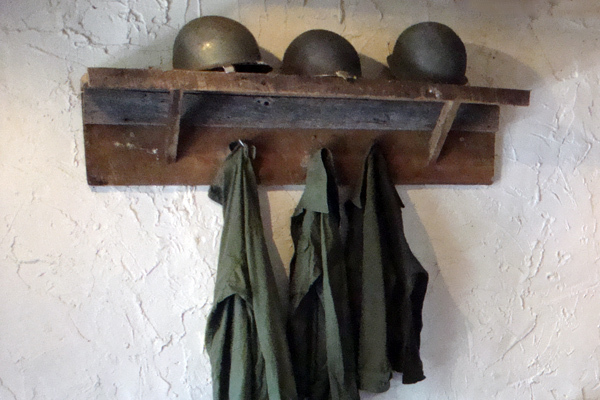 Will I follow orders to return to 57th Fighter Group Restaurant? You won’t catch me going AWOL on this dining establishment...I'll definitely be back. The one feature they offer that I've not yet taken advantage of, aside from the biplane rides, is their aviation headsets. You can listen to the Dekalb Peachtree Tower while enjoying your meal…again, very cool!